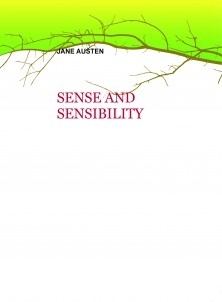 Sense and Sensibility is the story of two sisters, Elinor and Marianne Dashwood who with their mother and younger sister, Margaret, are forced into poverty through the untimely death of their father. Mr. Dashwood was previously married and all of the Dashwood fortune and the estate of Norland, is then bequeathed to John, his son by his first marriage, leaving the Dashwood women practically penniless. Elinor and Marianne are polar opposites where love is concerned. Marianne is the incurable romantic and Elinor is the practical, down-to-earth person.